Students crave emotional mentorship from their teachers that their parents can’t give them. There’s nothing wrong with that. A teacher’s job is to lead forth the powers that lie asleep within his students. Excerpted from Excellent Sheep: The Miseducation of the American Elite and The Way to a Meaningful Life by William Deresiewicz. Out Aug. 19, from Free Press. If you want a good education, you need to have good teachers. It seems ridiculous to have to say as much, but such is the state that matters have reached, both in academia and in the public conver­sation that surrounds it, that apparently we do. 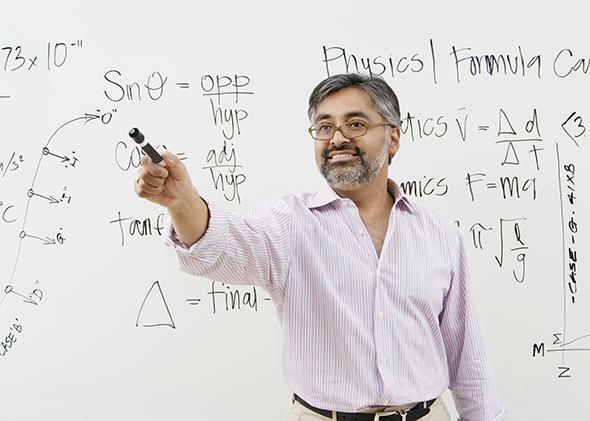 Between the long-term trend toward the use of adjuncts and other part-time faculty and the recent rush to online instruction, we seem to be deciding that we can do without teachers in college altogether, at least in any meaningful sense. But the kind of learning that college is for is sim­ply not possible without them. Teaching is not an engineering problem. It isn’t a question of transferring a certain quantity of information from one brain to another. “Educate” means “lead forth.” A teacher’s job is to lead forth the powers that lie asleep within her students. To put it in the language of computers, you can download all the data you want, but it won’t be any good to you unless you have the software to make use of it. That software, the ability to operate on information—to understand it, to synthe­size it into new combinations, to discover and create with it—is what college is meant to “install.” But here the analogy breaks down, for unlike actual software, the installation isn’t quick and easy, and it certainly isn’t passive. Thinking is a skill—or rather, a large and complex set of skills. In terms of what they take to learn, they aren’t any different than man­ual ones—than hitting a ball or throwing a pot. You do not learn them from a book or video or website. You learn them directly from another person. You learn them through incessant repetition and incremental variation and extension under the close supervision of an experienced practitioner. You learn them in classes that are small enough to allow for individual attention, supplemented by one-on­-one instruction tailored to your own specific aptitudes and needs. If you’re learning how to play guitar, the teacher will place your hands exactly where they need to go (and do it again and again until you get it right). The mind has “hands,” as well, and an endless variety of things you can do with them. In class, you do not spend your time transcribing information. The proponents of distance learning are not incorrect to believe that lectures are usually an inferior form of instruction. That is why a significant portion of classes, at least, should be small enough to run as seminars. The purpose of a seminar is to enable your professor to model and shape the mental skills she’s trying to instill. She conducts a discussion about the material, but she doesn’t simply let you talk. She keeps the conversation focused. She challenges asser­tions, poses follow-up questions, forces students to elaborate their one-word answers or clarify their vague ones. She draws out the timid and humbles (gently) the self-assured. She welcomes and en­courages, but she also guides and pushes. She isn’t there to “answer questions,” at least not for the most part; she’s there to ask them. Some of those questions should be ones she doesn’t know the answer to herself. Discussion in a seminar should be collaborative and open-ended, alive with serendipity and the energy of immi­nent discovery—a model, too, of how to think together. A student at Pomona praised his professors to me for granting students the “necessary illusion of discussing a book as a peer.” Yet it isn’t alto­gether an illusion. One of the rewards of being a professor is the chance to learn from fresh young minds as well as teach them. In Jeffrey Eugenides’ novel The Marriage Plot, the class that changes Mitchell’s life concerns the fate of Christianity in modern culture, whether belief remains a viable option. “Richter asked the students questions and listened to their answers as if it might happen here today: in Room 112 of Richardson Hall, Dee Michaels, who played the Marilyn Monroe part in a campus production of Bus Stop, might throw a rope lad­der across the void.” I myself became a decent teacher only when I started to relinquish some control over the classroom—stopped worrying so much about “getting my points across” and recognized that those moments of disorder that would sometimes occur, those spontaneous outbreaks of intelligence, were the most interesting parts of the class, for both my students and myself. We were going somewhere new, and we were going there together. My years in the classroom, as well as my conversations with young people about their college experience, have convinced me there are two things, above all, that students want from their pro­fessors. Not, as people commonly believe, to entertain them in class and hand out easy A’s. That’s what they retreat to, once they see that nothing better is on offer. What they really want is that their teach­ers challenge them and that they care about them. They don’t want fun and games; they want the real thing. It was a clever line, but it bespoke a common misconception about the kind of guidance that a mentor gives. You do not talk to your students; you listen to them. You do not tell them what to do; you help them hear what they themselves are saying. You ask the kinds of questions that Lara Galinsky talks about as being im­portant at times of decision—those “why” questions that help peo­ple connect with what they care about. Most advisors just tell you what courses to take, a student at Brown remarked to me, but the best ones “help you to think in a different way about the choice.” As Harry R. Lewis suggests, a mentor looks for the questions behind the questions their advisees ask. “The most important job of the advisor,” he writes, “is to help students understand themselves, to face and take responsibility for their decisions, and to support and to free them to make choices that are at odds with the expectations others have for them.” Students look to mentors—figures “more at­tuned to their rising hopes”—to give them what their parents won’t or can’t: the permission to go their own way and the reassurance that their path is valid. Lewis speaks of professors in their formal roles as academic advisors, but regardless of whose office they’re supposed to go to, students gravitate toward teachers with whom they have forged a connection. Learning is an emotional experience, and mentorship is rooted in the intimacy of intellectual exchange. Something important passes between you, something almost sacred. Socrates remarks that the bond between a teacher and a student lasts a lifetime, even once the two have parted company. And so indeed it is. Student follows student, and professors know that even those with whom they’re closest now will soon decline to names in an address book, then at last just distant memories. But the feelings that we have for the teachers or the students who have meant the most to us, like those for long-lost friends, can never go away. They are part of us, and the briefest thought revives them, and we know that in some heaven we will meet again. Students want you to be honest, not least about yourself. They want you to be yourself. You need to step outside the role a bit, regard it with a little irony, if only to acknowledge the dissonance between the institution and the spirit. It often feels that there are certain things you cannot say inside a classroom—the most serious things that you want to say, the most genuine things. You want to say that life is tragic, that we are dangling above a void, that what’s at stake, when you read a book, is nothing less than life itself. But you feel your institutional surroundings holding you as if between quotation marks. You fear that your words will fall to the ground with an audible clink. That is where a little distance from the situ­ation is of service. Just because I say this stuff in class, I used to tell my students, doesn’t mean I don’t believe it. From Excellent Sheep by William Deresiewicz. Copyright © 2014 by William Deresiewicz. Printed by permission of Free Press, a Division of Simon & Schuster, Inc.